Sunglasses. You use them. And if you like doing stuff outside, you use them all the time. 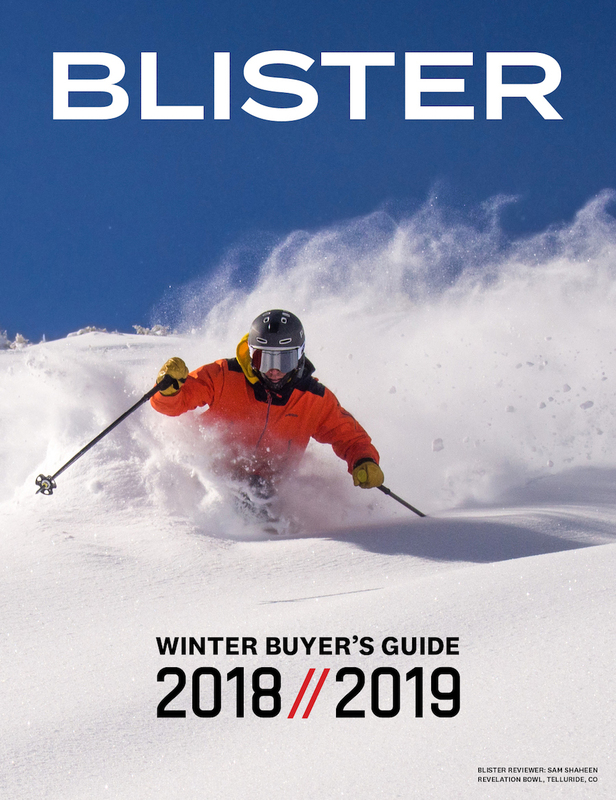 But there are a zillion options out there, so we’ve gathered together a few of our favorites for everything from a casual day in the city to serious ski touring missions. All-Rounders (i.e., styles that don’t look weird being worn around town, but also work for biking, running, hiking, etc.). Then we cover the details of each pair, and describe which ones might work best for you, given what you’re looking for. So let’s get started. Update 8.19.18: We’ve just added several new styles to the roundup, including a few women’s and unisex options, which you can check out below. And if you want a chance to win some sunglasses, you should check out this week’s Giveaway, where you can enter to win any pair of Smith sunglasses you want. 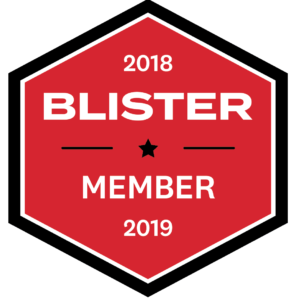 Jonathan: If you’re looking for the most protection of any sunglass in this roundup, the Julbo Shield is the winner. The frame comes with removable side “shields” that are, in fact, pretty easy to snap on or take off. And they provide more side coverage on extremely windy, sunny, and / or dusty days when you need it, while you can easily pop them off so you’re not stuck looking like a mountaineering dork when you’re just heading into town. In very low light, I would give the edge to the Zebra lens over the polarized Cameleon lens. Conversely, in extremely bright light, the polarized Cameleon is the better call. But that’s on the extreme end of things, and in the middle, I’d say the Cameleon is a bit more neutral, while the Zebra lens has a more yellow / brighter tint. 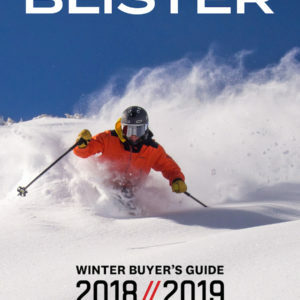 Honestly, I’ve liked ski touring in both of them, and haven’t developed a huge preference for the polarized Cameleon lens on snow. You may feel differently, and my own opinion might change if I was more concerned with viewing fish, feet, or oncoming sharks underwater. All in all, I think these are well-executed sunglasses and lenses, and I can vouch for them — even if you aren’t sure that you’ll end up using the removable shields all that often. 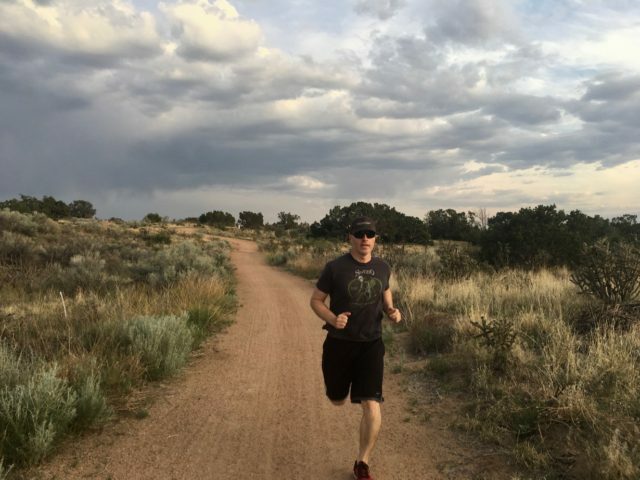 Luke: Pit Viper was started when co-founders Chuck Mumford and Chris Garcin became fed up with expensive performance sunglasses not holding up to the activities they were designed for. So they decided to take things into their own hands and create a military-inspired design that was durable and could handle activities like skiing and biking, and then added a lot of flash, style, and attitude. The result is a pair of shades that will certainly grab people’s attention. With a big, one-piece lens that offers plenty of coverage, Pit Viper’s distinctive logo slapped on the upper corners, and a variety of eye-catching colorways and lens options, Pit Viper’s original sunglasses are the closest you can get to wearing a party on your face. They also include a rubber nose pad and adjustable arms, making them one of, if not the most secure options here. Pit Viper probably has the most obnoxious (and funniest) marketing copy out there, but the bottom line here is that Pit Vipers are durable, offer enough coverage and security for serious activity, and bring with them an attitude that screams “fun.” And while we’re placing them in the “Performance” category, we know plenty of people that wear them as their everyday shades. Luke: This year Smith made an update to one of their long-standing frames, the Lowdown, and the updates make it a solid option for both active and casual use. They tweaked the overall silhouette slightly, and added grippy Megol nose pads. Smith also says they made the facefront a bit flatter, and I’d say that’s noticeable. On my large head, the inside of the lenses on the Lowdown 2 do end up rubbing against my eyebrows / forehead. I’m sure other people may have no issue with the flatter facefront, just don’t expect the Lowdown 2 to feel like the Electric Swingarm S or Ray Ban Wayfarer, which both feature much more of an angled facefront. In terms of optics, the ChromaPop Sun Black lenses that I tested were very good when it came to clarity and contrast. Most black lenses I’ve used make things look pretty dull, but the ChromaPop Sun Black lenses seemed to boost contrast while still providing plenty of relief from even the brightest light. The Lowdown 2 is one of my favorite glasses here for active use — those Megol nose pads do a great job of keeping these on my face, even when skiing or running. The Lowdown 2 also feels quite light, and I like the reaffirming “snap” of the auto-locking hinges. If you’re looking for a wayfarer-style pair of sunglasses that can keep up during plenty of activities, the Lowdown 2 is a great option. After a bunch of digging around and research, I’ve actually been pleasantly surprised by the Forum’s replacements that I’ve tried, including the Guide’s Choice by Smith. This is my first experience with a Smith “ChromaPop” lens, and I like the Polarized Gray Green lens quite a bit — I’ve found the lenses to be versatile enough to wear on nuclear-bright ski tours, overcast bike rides, or even just-after-sunset runs (where, admittedly, I wasn’t worried about having to quickly dodge trees or rocks at high speeds). 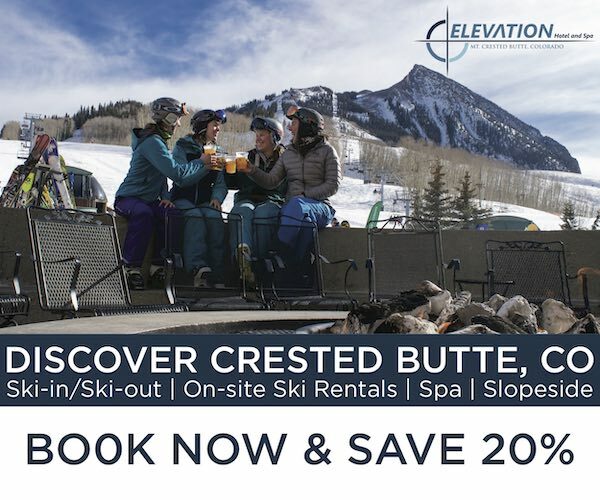 If you need a more dedicated lens for the brightest days on snow or on the water, then you might want to opt for the ChromaProp Sun Black lenses that Luke discusses above — they have a VLT rating of 10%, while the polarized Gray Green lens I’m using here have a VLT rating of 15%. But personally, I like the versatility of these lenses. Jonathan Ellsworth in the Smith Guide’s Choice. Finally, while I hate to speak ill of my old Smith Forum sunglasses, I have to say that these Guide’s Choice glasses move around less when running, biking, etc. They’re spring-hinged arms keep the glasses snug on my face, without ever feeling too tight. 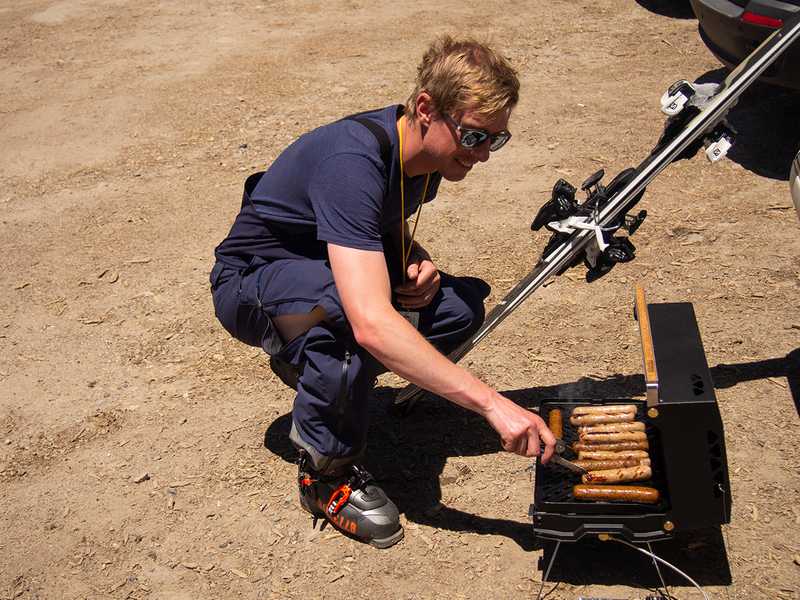 Luke: The Swingarm S is my top choice here for running and skiing. It features a grippy material on the nose that extends farther than that on the Lowdown 2, and I think this helps the Swingarm S feel a bit more stable while moving around. The Swingarm S has double-locking hinges that feel very solid, and the frame just feels nice and durable overall. The OHM Polar Bronze lens I tested is on par with any other polarized brown lens I’ve used. And like those other brown lenses, it makes greens really pop while still providing enough shade for any amount of sun I’ve encountered. 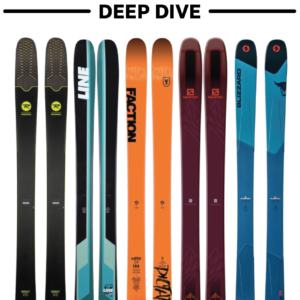 When it comes to overall aesthetics, the Swingarm S has a fairly rounded facefront, it’s angled forward significantly more than the Lowdown 2, and it has a pretty classic, rectangular silhouette that’s a bit smaller than the SunGod Renegades and Smith Lowdown 2. For both active and casual use, the Swingarm S is my go-to. Luke: Spy just released the second edition of their Helm frame, and the new Helm 2 sticks out from most of the other options here due to its unique blocky / rectangular look. The Helm 2 doesn’t have the distinctive flat top of the Lowdown 2 or Renegade, and I really like how the Helm 2 fits my big, square-shaped head. 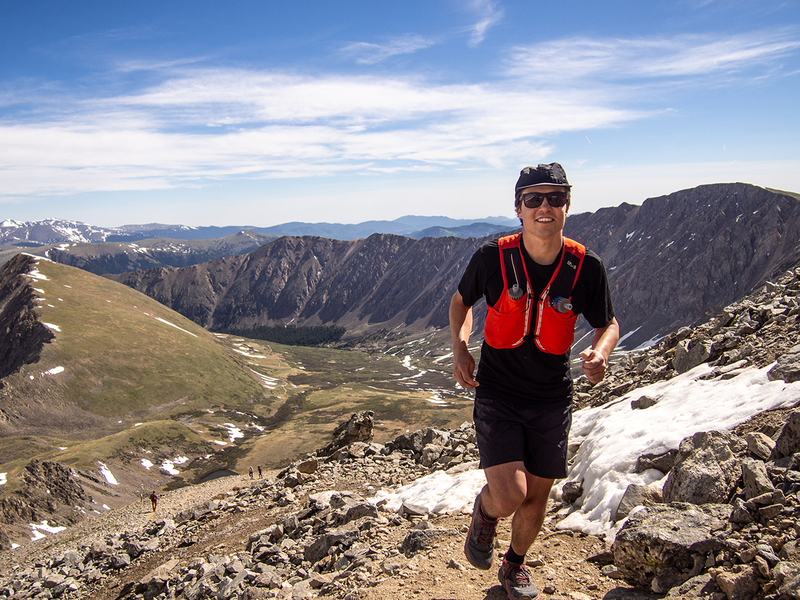 When it comes to tossing these on while out for a run, hike, or ski, the Helm 2 has some pros and cons. On one hand, it does have silicone grip pads on the very end of the arms which do help keep the arms in place above my ears. However, it lacks any nose pads, and I’ve found that the arm pads simply aren’t strong enough to keep the Helm 2 up on my nose while running or hiking (though this could differ based on your head shape). The Helm 2 is also fairly heavy compared to the other options here, so that probably has something to do with its tendency to slide down on my face. But overall, the Helm 2 is a well-built frame that I’ve started to grab more and more for casual use or mellower activities like fishing or beer-drinking (though I guess how mellow that last one is depends on how much beer you drink…). Lastly, Spy’s Happy Gray Green Polar lens that I used seemed pretty similar to the Smith ChromaPop Sun Black in terms of providing more contrast than most other gray / green lenses I’ve used while not really distorting any colors. Luke: This is my top suggestion for people that are looking for a rectangular frame that they don’t have to baby / be super gentle with. The Renegades feel super light on my face, and the frame is very flexible so I don’t have to worry about shoving them in my pocket or pack. They don’t have any grippy material on the frame, so the Renegades do tend to slip down my face while out hiking, but not any more than the Helm 2. And in addition to everything mentioned above, all of SunGod’s sunglasses are customizable. For the Renegades, you can pick the frame color, lens tint, and the color of the little SunGod icons on the side. The only small downside I’ve noticed with the Renegades is that the Polarised 4KO Smoke lens I used doesn’t provide quite as much contrast as the Spy Happy Gray Green Polar or Smith ChromaPop Sun Black lenses, but the difference isn’t drastic. 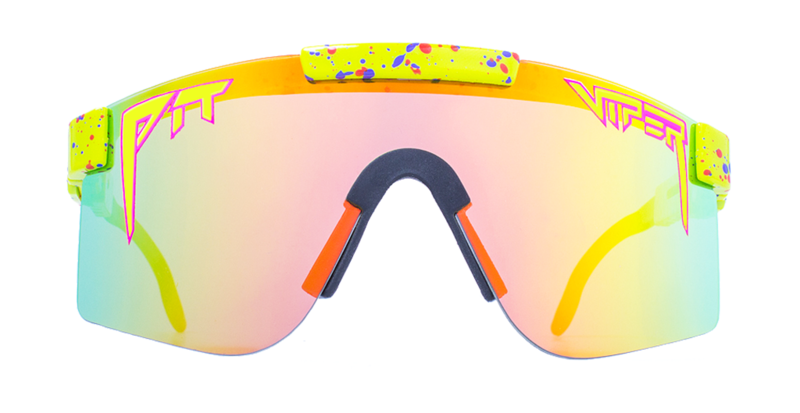 Plus the SunGod glasses come in at a lower price than many of the other options here, making them a great value. 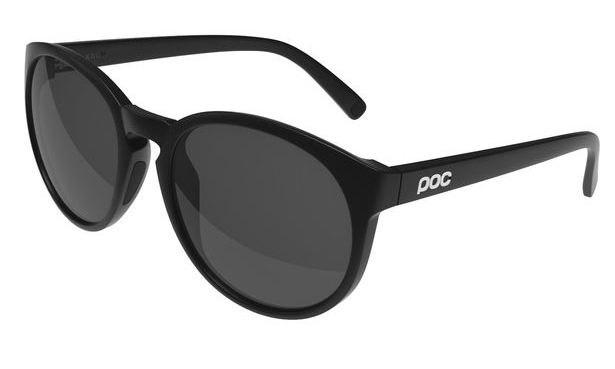 Kristin: If you’re looking for an all-around pair of sunglasses, the POC Know should be on your radar. The rounded frames have just enough coverage to eliminate sunlight and airflow from seeping into the sides, while the small rubber grips on the keyhole bridge and ends of the arms have kept the sunglasses in place while running, biking, or just sitting on the deck watching the sunset. As someone with a very small nose bridge and medium-sized head, the Know provides an excellent fit. And unlike some sunglasses with rubber grips, the Know doesn’t pull on my hair when putting them on or taking them off. With a matte finish and lightweight flexible frame, these sunglasses are easy to grab and simply throw in a bag without fear of getting scratched or broken. Sam: Just like Luke’s experience the SunGod Renegades, the Classics2 frame feels light on my face and the frame is super flexible. I’ve been very happy throwing them in my pocket or in a pack without worrying about breaking them. The Classics2 shape is reminiscent of a wayfarer, and for my smaller face they are definitely borderline too big, but they do offer good coverage. The Polarized 4KO Brown lenses don’t offer quite the same level of contrast as the Happy lenses on the Spy Pismo, but the SunGod brown lenses work a bit better in lower light situations (though I still would choose a lighter lens for a fully overcast day). The SunGod Classics2 seems like a great option for someone who appreciates classic styling but needs their shades to withstand the rigors of a good adventure. 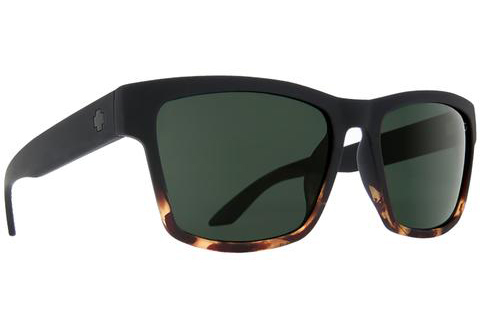 Luke: The Haight 2 is a pretty big, bold wayfarer-style shape that fits my rather large head very well. It’s fairly similar to the Smith Lowdown 2 in terms of coverage, but the Haight 2 is a bit more angular overall, has a more rounded facefront, and isn’t as flat across the top. We reviewed the Haight 2 in the “Soft Matte Black / Torte Fade” frame, and apart from featuring a pretty sweet faded black / tortoise colorway, the “soft matte” material is a bit grippier than many of the other frames in this roundup. The Haight 2 doesn’t feature any extra-grippy nose pads, but it stays put better than most of the non-rubberized options here, despite the Haight 2 being fairly heavy. Like the other Spy frames we tested, the Haight 2 feels very well built while coming in at a reasonable price, especially considering that all versions of the Haight 2 feature Spy’s “Happy Lens,” which adds a bit of contrast compared to cheaper options. I think the Haight 2 is a great option for people with larger heads who want a modestly-priced pair of sunglasses that offers very good optics and that can handle mild activity. Sam: The Sierras are a new frame from SunGod that, apart from the styling, remind us a lot of two other models from SunGod, the Classics2 and Renegades. The Sierras are lightweight, flexible, and seem to fall right in the middle of the technical / casual spectrum. The Sierras have a trendy round shape and slim temple pieces, with an understated frame that is as flashy or subdued as the lens and frame color you choose — and there are a lot of options to choose from). 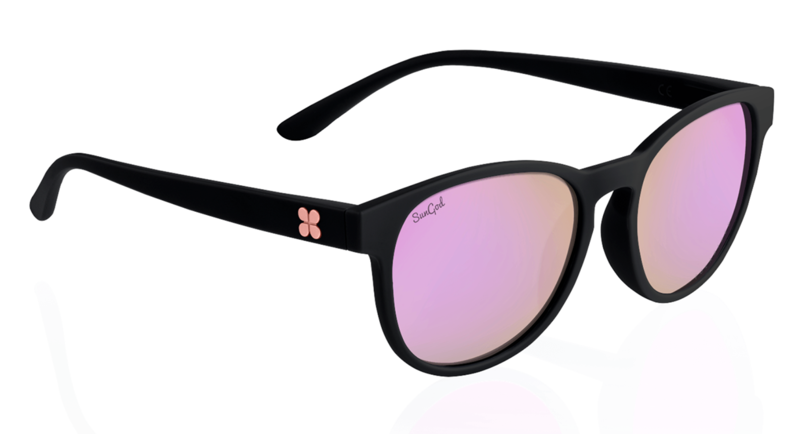 The pair we’ve reviewed has a matte black frame and polarized rose lenses. The polarized 4KO rose lenses have a 13% VLT, and have been pretty versatile in terms of the amount of light they let through. Plus, the rose lens tint gives life a bit of a ‘living in a music video’ feel. I would recommend the Sierras to people that have a medium to medium/large face and more angular features who need an inexpensive, durable frame for all-around use. 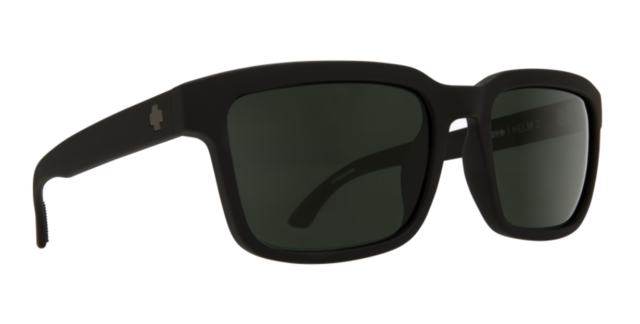 Sam: The Spy Pismo is a beautifully constructed pair of shades. The combination of flat black plastic and gloss black metal details compliment the round shape and subtle details. 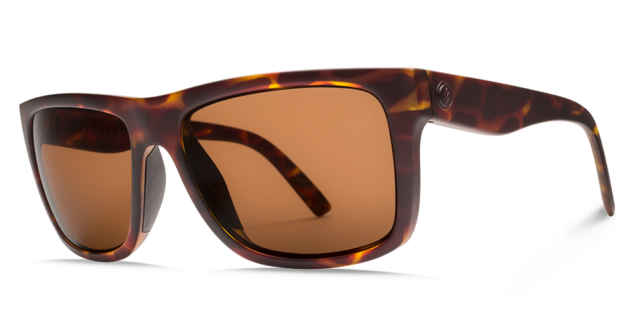 With a keyhole bridge and a weight that’s a bit heavier than others on the list, the Pismo is one of the most casual frames on this list. But it is also one of the most stylish — these sunglasses look good and are a bit more at home at a BBQ than deep in the backcountry. The Happy Gray Green Polarized lenses offer some of the best contrast of the polarized lenses we tested, but these lenses perform best in full sunshine. When it gets cloudy, the lens blocks a bit too much light. Sam: If the Sunski Chalet had a human personality, it would be party animal. Every time I put these sunglasses on, I want to crack a beer and jump in a lake (usually at the same time). The subtle 70’s styling will bring out your inner hot dogger turned beach bum — short shorts and majestic mustaches. This frame is just plain fun (and it comes in at a great price). Sam Shaheen in the Sunski Chalet. The Sky lens’ optics are comparable to the best in this roundup, but the Sky lens is not very dark, so it works well when it’s a bit cloudy or during sunset at a rooftop bar. The Chalet is definitely the smallest frame in this roundup, so if you have a medium or large face, look elsewhere. But if you have a smaller face and like to party, then check out the Chalet. Sam: The Round Metal is clearly one of the most casual frame here, but that doesn’t mean it can’t hang on the trail. If you want a frame that can feel at home trackside at The Preakness and still handle the occasional mellow hike, check out the Round Metal. Though it is the second heaviest frame on the list, the Round Metal stays surprisingly steady on my face. Just remember to store it in the case it comes in when it’s not on your face — it isn’t as durable as the plastic frames on this list. The Green Classic G-15 lenses are versatile and classic, though not polarized. 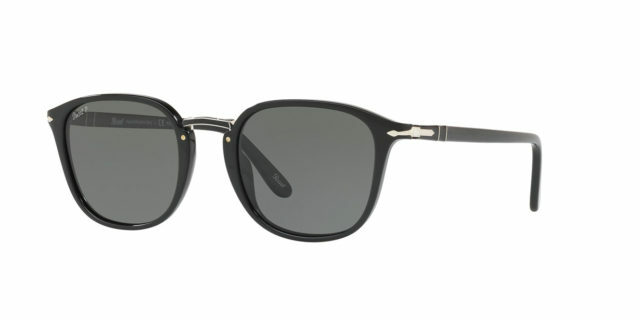 Sam: The Persol PO3240S certainly falls on the casual side of the sunglasses spectrum. It’s round shape and keyhole bridge feature classic Persol styling and design touches to make a pair of shades that can really only be described one way — classy. These shades aren’t the lightest — the lenses are crystal glass — which provide excellent clarity, but are heavy — and they don’t have the most secure fit that you can find, so they are definitely for casual use only. 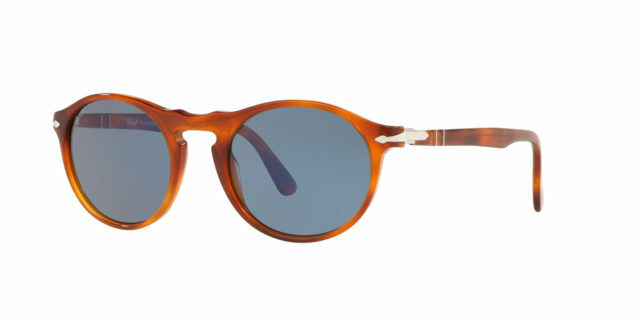 But honestly, would you really want to take a $310 pair of sunglasses on a hike to begin with? Sam: Do you own a Ferrari? What?? You don’t??? Well these shades might be the next best thing. 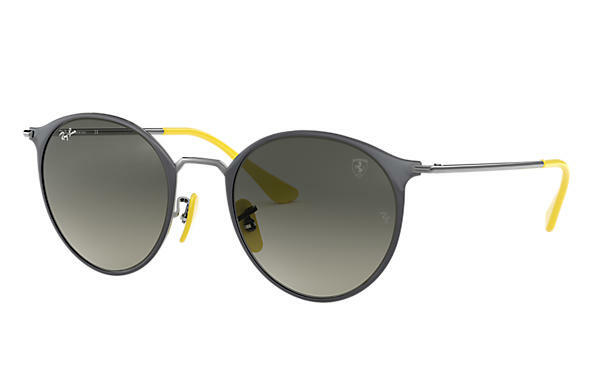 Designed in conjunction with Ferrari, these sunglasses feature Ferrari yellow (or red) nose and ear pieces along with a beautifully constructed double-layer metal frame. These sunglasses are made for racing cars, and though I haven’t had them out on the track, I am almost certain they would make me faster simply via a boost in pure confidence. They have a gradient lens to help with seeing the gauges (useful both at 20 mph and 200 mph) and a more secure fit than either of the Persol frames in our roundup. But don’t be confused, this is definitely a casual frame. It feels quite heavy, and will pair better with a swimming pool than a backpack. Sam: This mixed metal / acetate frame is another great (but expensive) casual option. One of the most square-shaped casual frames in the test, this frame combines a classic sunglass silhouette with trendier touches, like a flat lens. Both Persol frames we’re reviewing here feel incredibly well made. The hinges are substantial and have excellent spring-loaded action, the lenses are crisp and clear, and the overall finish quality is excellent. And that premium quality comes at a premium price. But if you spend a lot of time in sunglasses and want some of the highest quality casual frames on the market, you shouldn’t overlook Persol.